It is not Thanksgiving without pumpkin pie. This classic dessert is made to perfection in this recipe. For the very best results, make sure you are using pure pumpkin puree (canned or made fresh). 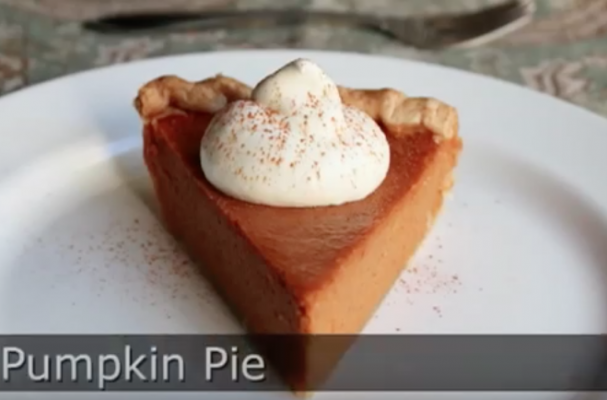 I've found that when using premade pumpkin pie mix, the flavor are dull or even have a slightly bitter taste. I also suggest preparing homemade whipped cream as it adds that extra special touch to a freshly baked pie. You can make the pie crust (or the entire pie) a day or two before so there is less work for you to do on the big day, Who makes the pumpkin pie for your Thanksgiving feast? Let us know in the comments section below.